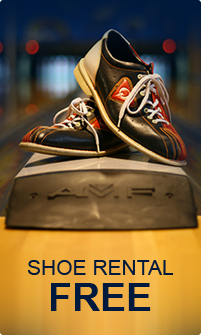 Bowling has a long and rich history, and is today one of the most popular sports in the world. British anthropologist, Sir Flinders Petrie, discovered a collection of objects in a child’s grave in Egypt in 1930, which appeared to mark the beginnings of a primitive bowling game. If this guess, or hypothesis, is correct, then the first traces of bowling date back to 3200 BC. Until this discovery, German historian, William Pehle, had stated that bowling comes from his country from around 300 AD. The first time major attention is paid to bowling is in England in 1366, when King Edward III apparently switched his attention from archery to this sport. And it is almost certain that bowling was popular during the reign of Henry VIII. Over time, there were many changes in the rules of the game and also in games which we could class in the same group of games in which bowling was. It is clear that these games developed very slowly and over many years. Undoubtedly, the English, Dutch and German settlers brought different methods of bowling to America. It is first mentioned in serious American literature by Washington Irvine, when ‘Rip Van Winkle awakens to the sound of crashing ninepins.’ The first permanent American bowling location was probably for lawn bowling, in New York’s Battery area, now the heart of its financial district. New Yorkers still call this place the ‘small plot bowling green’. The game experienced its ups and downs. A Connecticut act in 1841 made bowling illegal, because it was shown to be subject of dangerous gambling, and the losing party often gave the excuse of ‘poor maintenance’ of the outdoor bowling green. As such, powerful industrialists decided to install bowling lanes in covered buildings, although to begin with this was just for their own personal enjoyment. This whole period, however, increased the game’s popularity. We cannot state with any precision the period when the game evolved most. Around 1800, however, it was a prevalent sport in many states, such as in the cities of New York, Ohio and Illinois. Although the balls varied in dimensions according to region, Joe Thum, a restaurateur, standardised them all and pulled together representatives of various bowling clubs. In September 1895 in Beethoven Hall, New York City, the American Bowling Congress was born. Women began to take an interest in bowling in the latter half of the 19th century. The American Bowling Congress had been just for men, but in 1917 the Women’s International Congress was born in St Louis. Proprietor, Dennis Sweeney, called on the leaders of the Women’s League to hold a bowling tournament, which would then result in the founding of the Women’s National Bowling Association. At around the same time, bowling technology was undergoing huge development. To begin with, balls were made from very hard wood, but in 1905 the first real bowling ball, ‘Evertrue’ was introduced, and soon afterwards the Brunswick Corporation successfully promoted the so-called Mineralite ball. This ball gained many bowling fans for its mysterious composition. Now organised and with all standards agreed upon, bowling grew in popularity. However, a new technological breakthrough started a new era of massive growth. Mr Patterson, Vice-President of the American Machine and Foundry Company acquired Gottfried Schmidt’s patent for an automatic pinsetter. This was first installed for business in Michigan in 1951, and in 1952 production of the model began. The machine, however, demanded careful attention. Mechanics had to service the bowling equipment for hours each day. Television experimented with bowling in the years around 1950, when the game was ever more popular. NBC, the radio station for ‘Championship Bowling’, was the first to broadcast bowling reports. Coverage grew thanks to live show ‘Make That Spare’, ‘Celebrity Bowling’ and ‘Bowling for Dollars’. In 1961, ABC became the first to telecast the competition of the Pro Bowlers Association. More followed. Promoter, agent and entrepreneur, Eddie Elias, owner of the PBA, founded the Pro Bowlers Tour, which was a popular broadcast on ABC. It wasn’t long before broadcasts from women’s bowling were featured, specifically from the Ladies Pro Bowlers Tour. This all had one objective – to make bowling ever more popular amongst Americans. Organisers, competition leagues, all this looked highly professional from the outside. This wasn’t, however, the case. Most of the leagues, more than 70% of them, were made up of mixed teams playing amateur competitions just for fun. So the ‘organised open’ is played more in the spirit of a pleasant way to spend a Saturday evening. Today, bowling is played by 100 million people from more than 90 countries worldwide. The sport has a long and interesting tradition, and great prospects for becoming familiar to ever more people throughout the world.